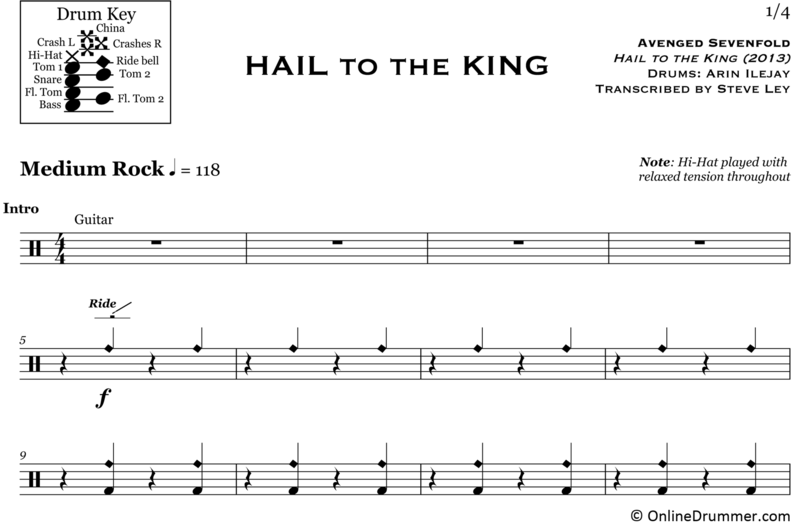 The full drum sheet music for “Hail to the King” by Sevenfold from the album Hail to the King (2013). Replacing the late Jimmy “The Rev” Sullivan, this album is the only Sevenfold album that Arin Ilejay played on. Taking a more relaxed approach that The Rev, but equally as hard-sounding, Ilejay plays the beats and fills this song calls for. 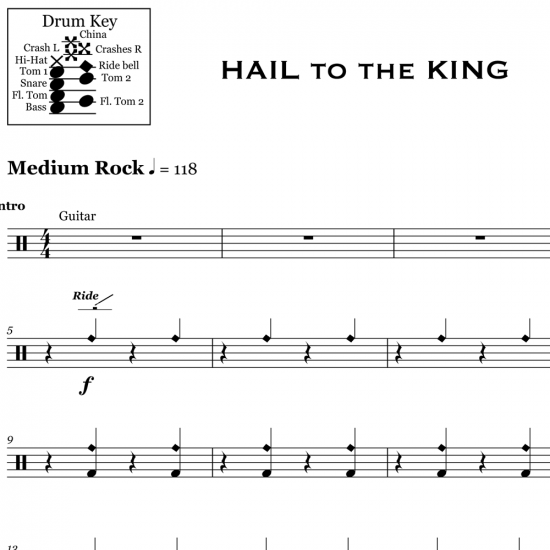 Throughout most of this song, Ilejay rocks out with the ubiquitous 1,3 on kick and 2,4 on the snare.